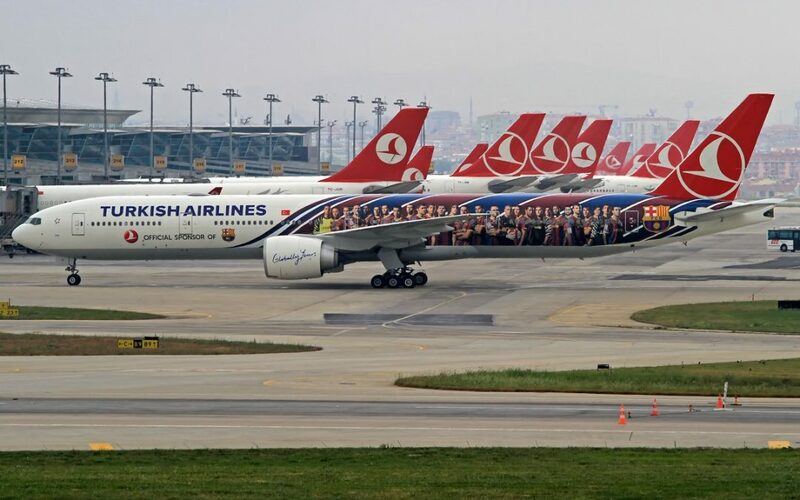 The Turkish government has announced that following the transfer of Treasury stakes in a number of top companies to the newly established Wealth Fund on Sunday, the Treasury’s stakes in Turkish Airlines (THY) and Halkbank will also be transferred to the same fund. On Monday morning it was announced that the Treasury’s 49.12 percent stake in THY and 51.1 percent stake in Halkbank will be transferred to the Wealth Fund, which was established last August to finance large infrastructure projects. According to a decree in the Official Gazette on Sunday, stakes belonging to the Turkish Treasury in a number of companies including Ziraat Bank, the Turkish Petroleum Corporation (TPAO), satellite network TÜRKSAT, the Petroleum Pipeline Corporation (BOTAŞ), Borsa İstanbul (BİST), Eti Mining, Çaykur and postal service PTT were transferred by Cabinet decision to the Wealth Fund. The fund, approved by Parliament in August, will use proceeds from the sale of assets to finance large infrastructure projects such as airports, seaports, roads and railroads across the country, with Economy Minister Nihat Zeybekçi saying the fund’s eventual asset size could reach $200 billion. The government also moved its license in the national lottery and horse racing operations for 49 years to the fund last month. Also, TL 3 billion ($810 million) held by Turkey’s Defense Industry Support Fund will also be given to the Wealth Fund for a period of three months. A senior presidential adviser, Yiğit Bulut, BİST Chairman and Chief Executive Officer Himmet Karadağ and academics Kerem Altın and Oral Erdoğan were appointed to the board of the Wealth Fund, formally known as Türkiye Varlık Fonu Yönetim AŞ, according to the country’s trade registry. The government’s move to transfer Treasury assets in a number of top companies to the Wealth Fund has attracted widespread criticism, with many suggesting that these companies will no longer be financially supervised and that their operations will lack transparency. Former chairman of Turkey’s Central Bank Durmuş Yılmaz warned about the possible consequences of the move in a Twitter message on Sunday. “Is this the end of transparency and accountability? Was not the foundation for the 2011 [economic crisis] laid like this as well?” asked Durmuş. Speaking to the T24 news portal on Sunday, Gürses said with the decision, the companies that were transferred to the Wealth Fund will from now on be used arbitrarily and that they are no longer part of Parliament’s budget oversight.